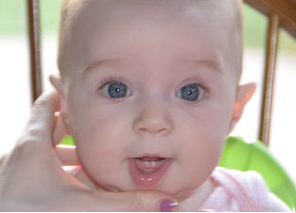 Baby teeth serve as place holders for adult teeth. If a baby tooth is lost, the teeth beside it can drift into the empty space and block the path of the adult tooth. This can lead to crooked adult teeth. It goes without saying that you need strong teeth to chew. Children who have pain from tooth decay will have difficulty chewing healthy, crunchy foods like whole fruits and vegetables. Decayed baby teeth that become abscessed can affect the unerupted adult tooth beneath, destroying the enamel of the forming permanent tooth. Front teeth are used to pronounce a number of sounds, including “S”, “Th”, and “F”. The proper position of the tongue when swallowing is developed around the position of the front teeth. A child with missing or severely decayed front teeth is more at risk for speech and tongue thrusting problems. Baby teeth are important for your child’s nutrition, speech, and overall health and well-being, so it’s important to develop good dental hygiene habits early to protect them. Brush all your child’s teeth twice a day with a soft, child-sized toothbrush. Make sure to reach all surfaces with the brush. As your child gets older and the baby teeth start to touch, begin flossing daily. For children under age three, use a smear of fluoride toothpaste—no more than the size of a grain of rice. Children ages three and older can use a pea-sized amount of fluoride toothpaste. These older children need to be reminded to spit out the paste, not swallow it. Help young children with brushing. The American Dental Association recommends parents brush their children’s teeth until age six. Until your child can cut his own meat at mealtimes, you need to help him brush.